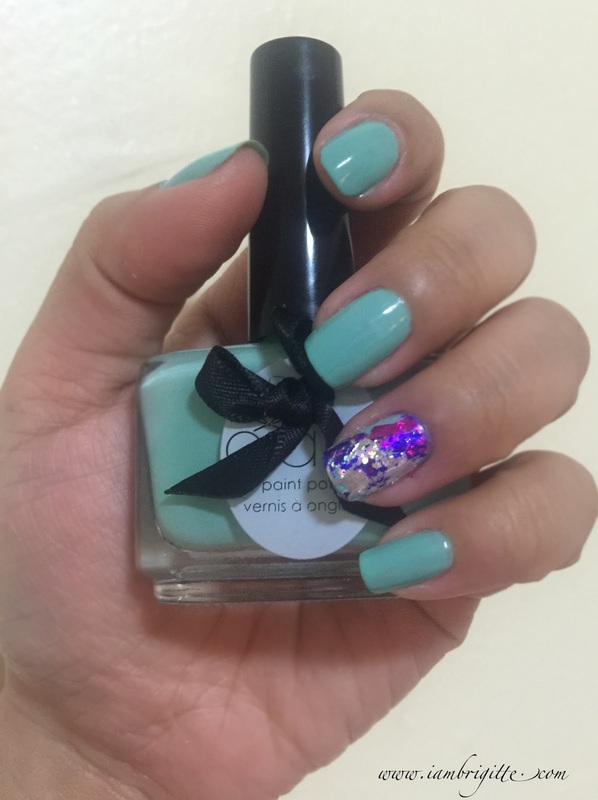 Are you fond of doing nail arts? I once was, but I don't think I have the talent for it unlike some people I know. But from time to time, I still try to do it and if ever I fail, I just charge it to experience. Anyway, what I got is this Colourfoil Manicure Kit in Kaleidoscope Klash which is a part of Ciate's Top Manicure picks. This is a limited edition and is inspired by London's urban graffiti artists. This set takes street wear to new heights. Aside from Kaleidoscope Klash, other styles available are Carnival Queen and Wonderland. 1. 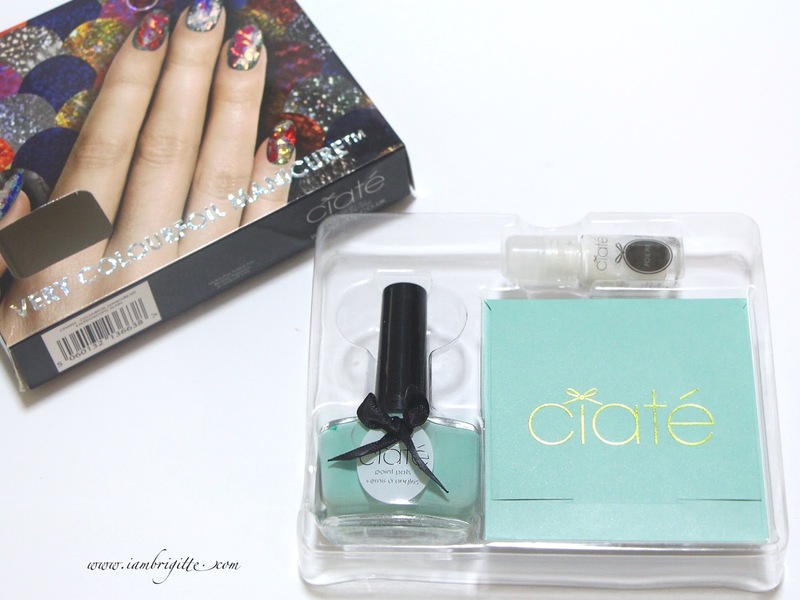 Ciate Peppermint nail color which reminds me of Tiffany blue. Well, sort of. How to do foil nail art? Well, itt's not as difficult as you might think it is. 2. 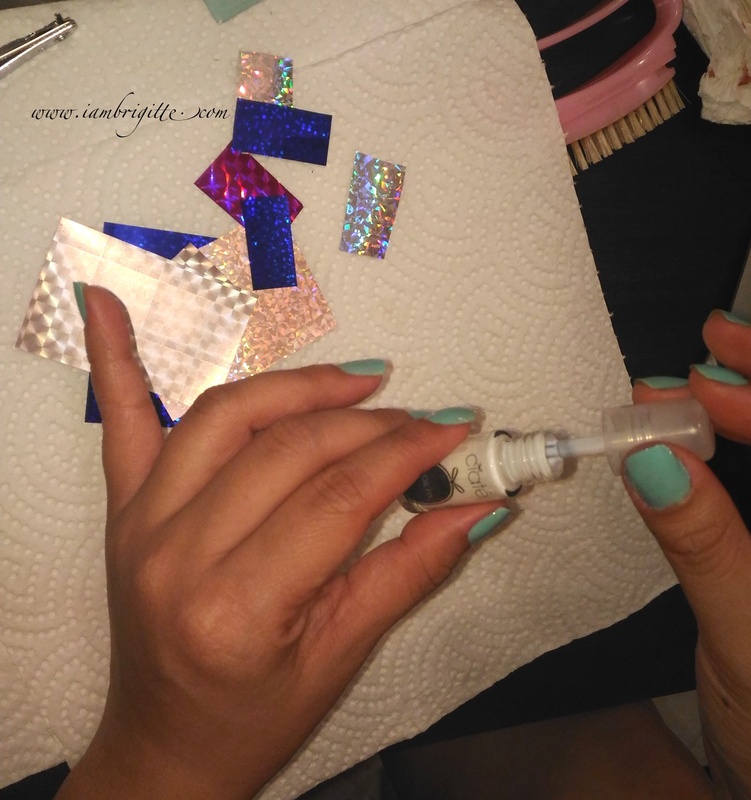 Apply dots of glue in places where you want the foil to be on your nail. It's completely up to you. Make the application as thin as possible. I failed the first time because I didn't read the instructions carefully. I applied the glue on the entire nail, hahaha! 3. 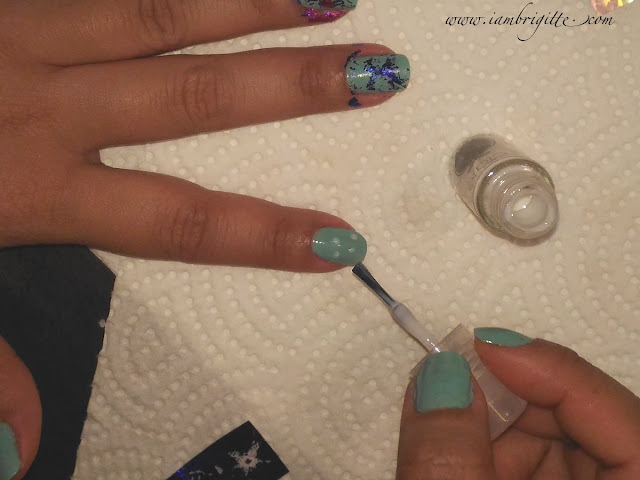 Get the foil of your choice and press it on the nail either by your finger or by a Q-tip. Make sure the glue is already tacky before you press on the foil. I made the mistake of pressing on the foil right after applying the glue and the foil didn't transfer. I was like, "I think there's something wrong with the foil." LOL! And oh, make sure you apply the foil with the colored side facing up. 4. Strip off the foil as quickly as you can, just like what you do when you wax. 5. Repeat steps 2-4 until you get the look you want for your nails. 6. 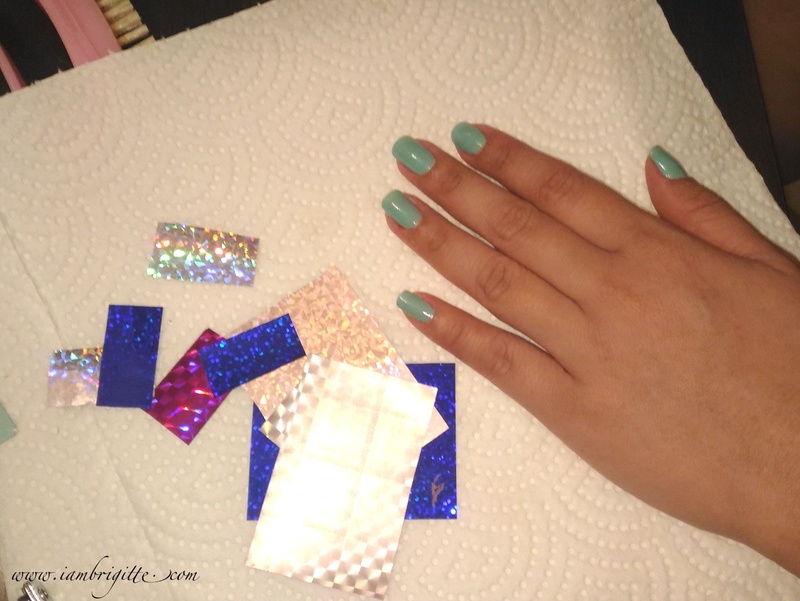 Wait for some time, like 15-20 minutes before applying a top coat. 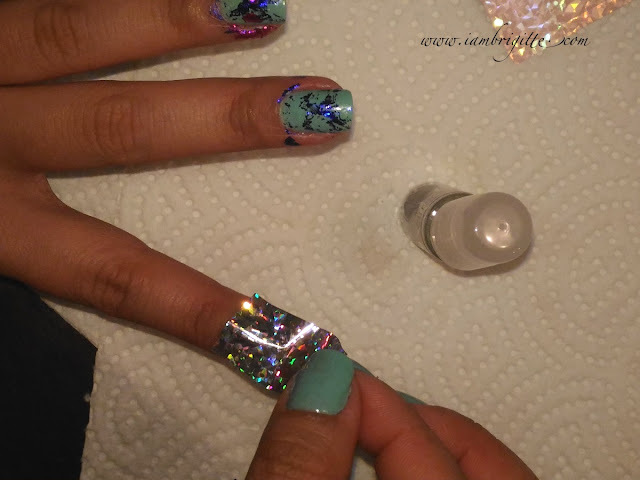 Choose a non-quick drying top coat as it will not cause the foil to smear or melt. Of course you can apply the foil on all your nails...depends on your preference, really. 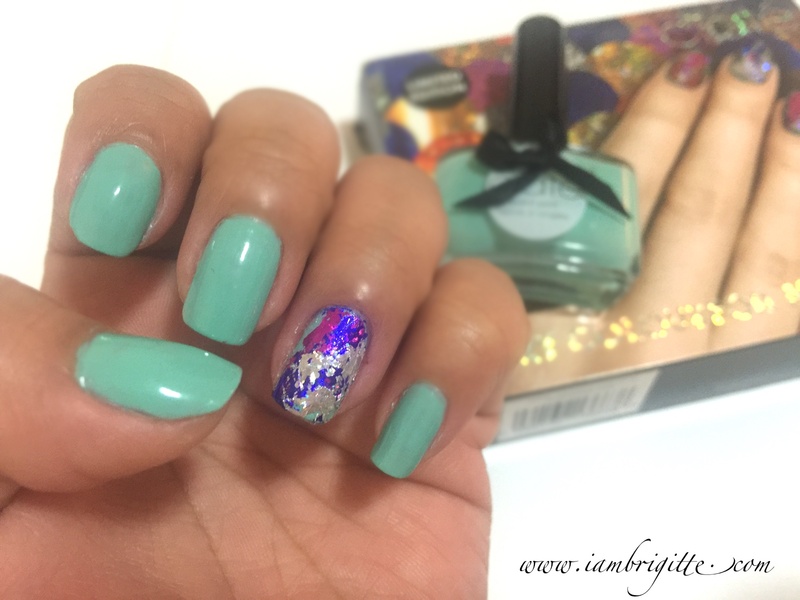 I enjoyed doing this foil nail art technique and I love that it doesn't have to be perfect. I mean, they are meant to look randomly placed so feel free to go crazy as you'd like. Indulge luxe-glam fantasies of a decadent ball attended by the glitterati, taking place in an evocative Italian Mansion, where women are dressed to the nines in designer wear. How does one stand out in the crowd? 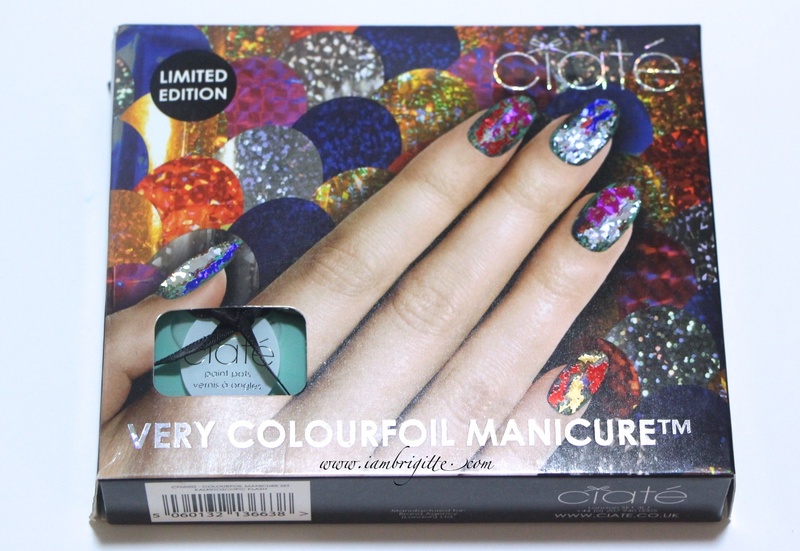 By adorning nails in a layer of luxurious caviar like pearls - of course! Available in Black, White and Rainbow. 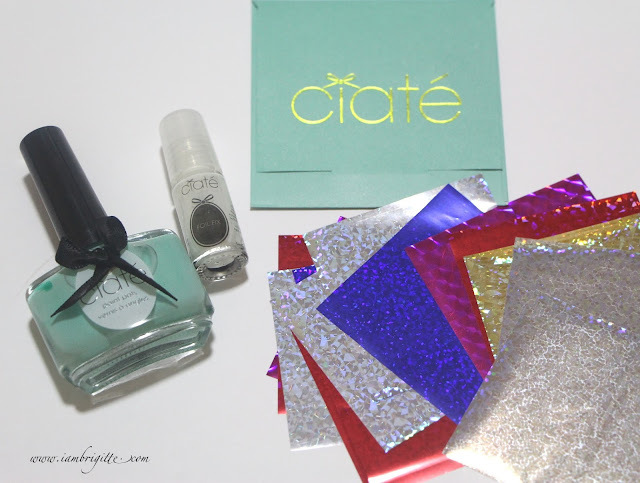 Ciaté caviar like pearls may be applied over any paint pot. Light up the night with zesty neon shades that glow in the dark. The corrupted top coat polish glows under UV light, making this the standout nail collection for club land. Available in Club Tropicana, Foam Party, Mega Foam and Shout Out. 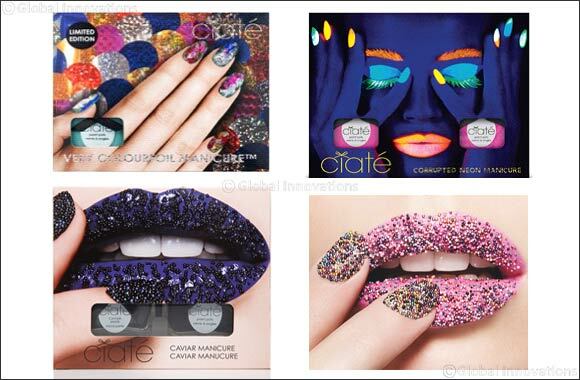 Expose your inner chameleon with Ciaté Sugar Caviar Manicure, a delicious selection of sugar-sweet shades that are good-enough-to-eat. Available in Cotton Candy,Tutti Frutti and Lemon Fizz.